A Sagittarius sign could be intrigued by you, if you know what to say and do. Getting a Sagittarius sign to talk to you won’t be a problem. The Sagittarius personality is interested in most anything. They have a lot to say. If you just let them talk to you and you are a patient listener, they'll decide that you’re a great person to talk to. Ask Saggy about things like: What books they have read; ask about what they do for a living; ask what they think about world issues. People that have the zodiac sign Sagittarius tend to like pets and animals, ask them about their pets. Be careful though when asking Sagittarians questions, you want to come across as interested not nosy, never transcend that limit. Saggy's are very mistrustful of anyone who might try to pin them in a corner;you should speak to them in generalizations. Having warned you about prying at first, later on things should improve once Saggy get's to know you better. At that time, you'll surely come to see that the problem that you will have with Saggy is the blunt way they tell you exactly what they are thinking. Another cool thing about a Sagittarius sign is, once they get to know you, they welcome you to share confidences with them and ask them for advice. They want to be involved if you want them to be. If you are trying to catch a Sagittarius, show that you have that entrepreneurial spirit; you're someone with big dreams, big goals, big plans. 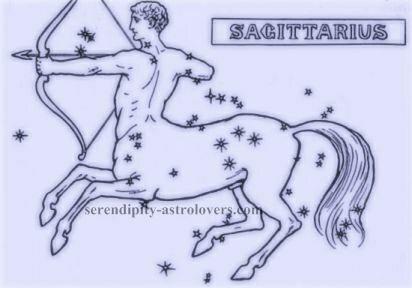 Sagittarius men and Sagittarius women love travel and foreign places, if you have traveled recount your stories to him or her, and exaggerate everything (make it big). If you haven't traveled, talk about the places you plan to go. If you speak foreign languages, speak a little to Saggy. Even if you’re just learning, a couple of well pronounced words will do the trick. Sagittarians come across as friendly; easy to talk to. If you like a Sagittarius sign, be direct, ask them out right away. You could say; "You like Thai food? Let’s go and have some, tonight maybe?" If Sagittarius says no to a date, don't be put off; Saggys have are busy people, they always have something to do. Sagittarius will fit you in, when interested. If you are talented in anything, let Saggy in on it. Do you paint? Make furniture? Great at photography? Show Saggy your wares. Sagittarius will be impressed and will wonder about your talents in the bedroom too. The Sagittarius sign is ruled by planet Jupiter the largest of them all. If you're the chosen partner for Sagittarius, you must think big, this is the kind of partner Sagittarius the Archer wants. Dates that would be wonderful to a Sagittarius are beach dates; sailing, jet skiing, para sailing, outdoor concerts, taking a walk to get ice-cream on a moonlit night, dancing under the stars or picnics at the park. Sagittarius's personal choice is to avoid big trendy loud clubs or huge parties; so don't take them to those kinds of things. Nor will a saggy like to be in a closed in place, so full of people that you can’t walk, move or dance. Sagittarians love their freedom don't take them anywhere they will feel trapped in unable to breath. Take them somewhere where you can move around if you feel like it. Maybe a restaurant that has an outdoor garden or a club that has an outdoor space. While were are on the subject of freedom and feeling hedged in; never let your emotional leaning on Saggy's shoulders encroach upon their private lives. It would also be wise to ignore most of Saggys promises, don’t take them too seriously, take them as a maybe/maybe not. This will be true for most Sagittarians, even if they don't admit it. (Authors' Note*- I am a Sagittarius sign and I have learned to curb making promises; as I have matured, I take promises seriously, when I do make them). Other Saggys that don't show this propensity may just have other planets and signs that curb this tendency in them, at times though it will show through. My point is a Sagittarian promise is written on water. Once you are dating a Sagittarius sign don't just assume this means forever. I assure you Saggy doesn't think that. When it eventually ends, don't be too sad about it; Saggy won't. Once it's truly over Saggy doesn't look back, nor do they come back. Copying for personal offline use is fine. If you are copying for online use please give credit with a link to this page. Thank you.